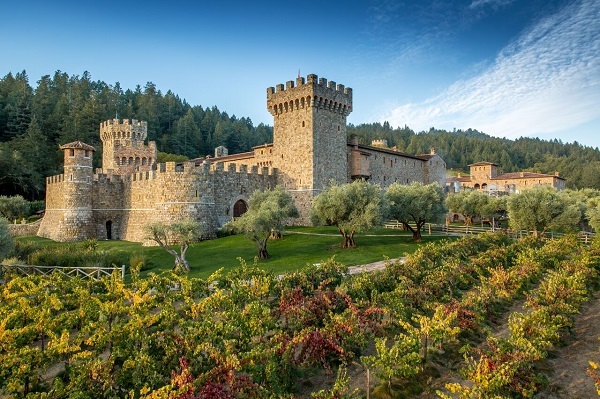 Castles are in short supply in the United States, but in Calistoga you’ll find the beautiful Castello di Amorosa basking in the California sun on a hill, vineyard sprawling before it. “It’s really an ‘Ah ha!’ moment when you see it,” says Jim Sullivan, Vice President of Public Relations and Marketing. A real castle can't be built from modern cement and fiberglass. Instead it’s made from Napa Valley stone, combining aspects of Italian castles from the 9th through 13th centuries. “If you look around the courtyard pictures you’ll see how a castle has evolved over time,” he says. And why wouldn’t it? Producing whites, reds, and sweet wines, the underground winery produces some of Napa Valley’s finest. “When we make the red wines we use open-top, stainless steel fermentation tanks that Dario brought over from Italy,” Sullivan explains. After a 9-day fermentation process, the juice is removed and the wine is put in wooden barrels in the castle for 2 years. The best way to get the full experience is to join one of the tours and tastings. You’ll be led through the upper floors of the castle by an experienced guide, checking out rooms such as the great hall, library, and more. 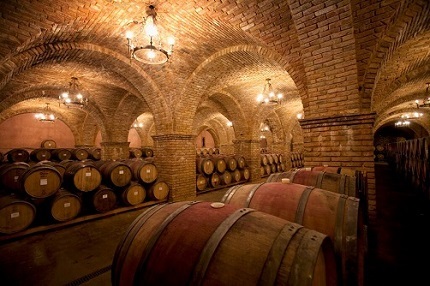 Then you’ll go into the underground winery to sample between five and six different wines. “The thing about wine is that you have to smell it, you have to taste it,” he says. After all, with so many different vintages and flavors, how else can you know what you’ll like? Their Cabernet Sauvignon and La Castellana can't be found in any grocery store, though; all wine is exclusively made and sold at Castello di Amorosa. Thankfully, they’re happy to ship it all over the country to Amici del Barone—“Friend of the Baron”—Wine Club Members. 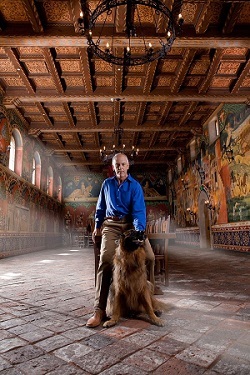 “People get to relive their experience at the castle through the wines that we ship,” says Sullivan.